When we talk about photo editing apps we rush to app store to find out the best utility app to turn our regular boring photo to something close to piece of great art. There is one app which is making a noise on social networking sites. Downloaded by thousands of users worldwide. You would know that if your not living in a cave. Yes, I’m talking about prisma which can turn your boring photo to awesome cool art. Prisma has very cool features which give a special touch to your photos making them look like a professional artwork. This app is inspired by some of the legends like Picasso, Piet Mondrian , Van Gogh & Levitan. How does it work? It's simple, you can take a photo or select one from gallery, and then use filters option to add an effect to your photo. It uses modern artificial technology to understand what kind of picture they are dealing with then turn it in to something awesome. You can crop, live preview it before saving it. Not only that you can play around using different filters. Also, there are many other photo editing apps available on google play store and today here we gonna talk about the best prisma photo editing app alternatives for android. Picsart is most popular photo editing app when it comes range of variety of effects which transforms your boring photo to something special. It has rise to fame and is appreciated by millions of people with currently over 100 millions app installation on play store right now. 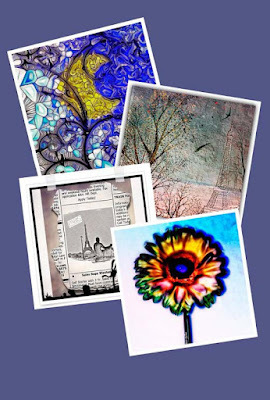 It offers several advanced features like prisma app from brushes, stickers, clipart graphics, collage maker, text tools, and picture enhancement tools, callouts, painting & drawing tools. Not only you can use this app as your personal photo enhancement tool , Picsart has their own artistic community to share your edited images to its network. You can find tons of other users photos, which is cool. Picsart is available in both iOS and android version, which makes it easier for you even if you are iOS user or Android user. 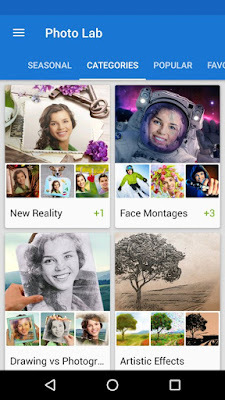 Pixlr is famous for its automatically adjust the photo color, contrast , brightness and many more in just single click. 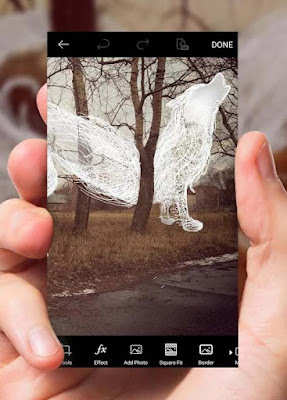 Pixlr is a free app developed by Autodesk Inc. It has several powerful photo enhancement features like prisma app. It has some interesting features like whiten teethes , removes red eye, re-size, sketch, crop, water color, poster and pencil. This is one free powerful photo editing app which can even perform actions like create a collage, auto-fix image in just one tap, focal blur and many more. 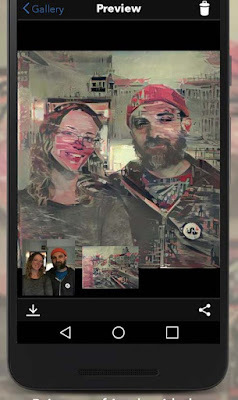 Pixlr express supports both android and iOS operating system. Not only that Pixlr express is even available on Google chrome as an extension. It helps you to quickly edit picture, now you can perform your unique editing skill other than just editing photos on your smart-phone. Photo lab is another photo editing app which has prisma app like features of Art-work-effects. It does come with plenty of photo editing features that one look for. It is good at enhancing pictures depends on the quality of your images. Photo lab comes with two variants of “free & pro version”, where you can unlock few more powerful features for just $3. When compared to prisma photo lab does lack few things to live up to prisma expectations. This is cool app to play around to being out the Picasso in you. If you are a user of both android and iPhone user then this app is for you as it is available on both version. You don't compromise on quality or size. 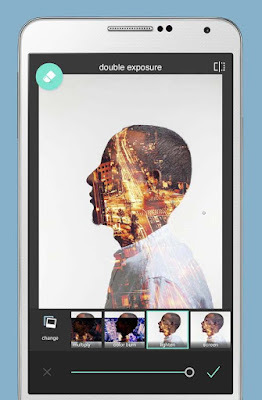 Now you can freely edit your pictures without concerned about compatibility. We know that you want an app which is close to prisma ,in terms of effects & quality. Superphoto is something you should definitely try. When an app is being introduced, every one looks in to the reason why they should go for it at the first place. I mentioned prisma app before, this is a prisma like app which has several features which can fulfill your requirements. Not only it is easy to use. It works faster when compared to prisma. Unlike prisma, superphoto has over 190+ amazing effects to try on. You can play around to make it special or to kill time. It does not come with pro version. If you subscribe to their pro version you get to access more special features to try on. Pikazo is another photo editing app which has very good ratings on Google play. It does fulfill basic requirements. It is indeed a cool app for those who have never touched "Prisma App". Pikazo does come with options and features to enhance your boring photo but it lacks in performance, kills resolution under image is under 500PX. Despite of all the fuss , it is still a good app which has made thousands of users happy. Well Prisma App is indeed a fabulous photo editor which has left instagram look lame in several areas. Unfortunately all of the luxury provided to iOS but good news came by knocking our doors of android users from developers saying that they will be launching the android app by the end of month. Till then you can check out these photo editing apps, which are brilliant compared to Prisma. However nothing can actually replace Prisma App in-terms of speed, performance, filters, editing & enhancing options & quality. In the above list you can even find apps which has photo shop features, which are present in prisma app. 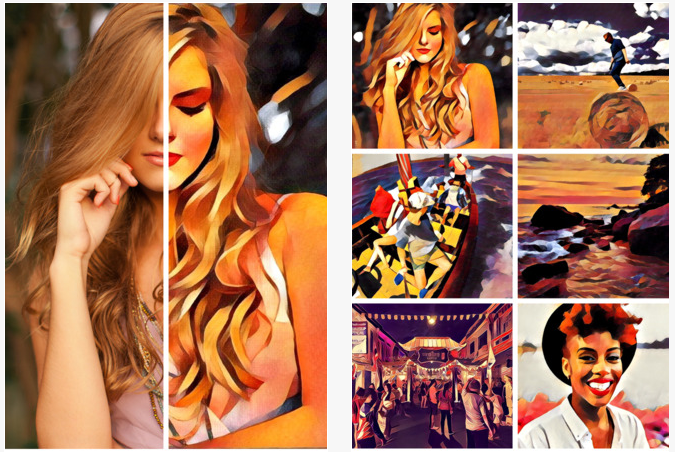 Many of you might have fell prey to fake app called " Prisma Android App Trending" , The developers have not launched the android version app yet. There are several sites offering that you gain access to android version app. Which is a bluff & spam. We would like to hear your thoughts, so comment below to express the artist in you.